Teachers go over mathematics problems in class and assign homework. Practice in solving mathematical problems helps students obtain a better understanding of mathematical principles. 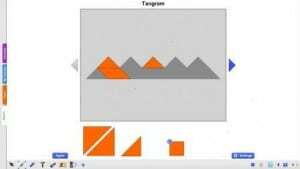 Using the interactive aspects of the smart board to display concrete mathematical representations is an interesting way to encourage students to understand abstract mathematical concepts through constant practice. The teacher can work out problems using the smart board and then call upon individual students to solve problems on the smart board and in their seats. Students acquire a basic understanding of mathematical principles in elementary school. Teachers can expand upon this fundamental knowledge to explain more complex mathematical concepts and facts using the smart board. The smart board is a useful tool to explain important mathematical principles that are used to solve mathematical problems and puzzles. The smart board provides a visual aid that builds upon basic mathematical principles to demonstrate advanced mathematical concepts. The ‘Count money’ activity is a great example of a concrete mathematical representation. Understanding mathematical concepts is more important that rote memorization of terms and rules. Reading the assigned mathematical explanations in a textbook helps students to absorb the material presented to them in class by the teacher. The smart board could be used to work out solutions to mathematics problems in class. The teacher may assign individual problems to students or the students may work in a study group using the smart board technology. Students should check their answers to make sure solutions are correct. Smart board technology has many useful applications in the classroom instruction of mathematics by both the teacher and the students. Teachers can use the smart board to review basic mathematical operations learned in elementary school to help students understand increasingly complex mathematical principles. This helps students overcome math anxiety. Students may work together in study groups to work out individual problems on the smart board. Each student can learn to solve mathematics problems in a way that is different from the teacher’s solution. Asking questions, solving daily math problems, using an easier to understand mathematics textbook and asking questions that will provide answers to help them solve complex mathematics problems are other ways to alleviate mathematics anxiety. The ‘bus stop‘ activity helps understanding simple additions and distractions. Some teachers believe that they can teach mathematics without answering student questions. This is the wrong approach to classroom instruction. Students learn by asking questions and receiving an answer to their questions. Students should ask questions to seek clarification on solutions to problems they don’t understand. Teachers are not perfect and sometimes make mistakes. Students learn to correct mistakes when they receive answers to the questions they ask in class. 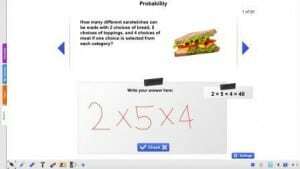 Mathematical problems can be worked out using a smart board giving students the opportunity to ask questions and receive clarification on the best way to solve a mathematics problem. After working out problems in class or at home, students should always check the mathematical solutions again. The smart board is a good tool to use for this purpose. Students can exchange papers in class. Another student can work out the problems using the smart board. A student double-checking the work of another student may correct any errors made in the mathematical reasoning process. One student might solve a problem differently on the smart board and still arrive at the same answer. The best way for students to check mathematical solutions is to use a different method of checking for different mathematical problems. You can use the sum machine to work out problems using the interactive whiteboard. Today’s students use technology to help them learn important mathematical concepts in class and at home. Both graphing calculators and the smart board are tools that teachers use to visualize mathematical concepts, check mathematical solutions, explore new math topics and help students experiment with different problem solving techniques. Students should remember when to switch between degrees and radians when solving problems using graphing calculators. Some graphing calculators will only display the right half of a graph. Using a special ‘button’ for cube roots will display a correct graph. Taking notes in class while the teacher is explaining important mathematical problems using a smart board is an important step that will help the students grasp mathematical principles. It is also important for them to use legible handwriting when taking notes. This will help them to study the mathematical concepts later on. Taking good notes helps students to learn more on their own. Teachers are freed from knowledge-based instruction. They will have more time in class to provide individualized attention to students needing additional help in understanding how to solve mathematics problems. Students will be more prepared for higher-level comprehension activities after they learn how to take notes in class. Most children in the beginning are excited and interested in learning mathematics. However, at some point, this intense interest diminishes and teachers struggle to keep students motivated. Student-centered learning using a smart board is one way to encourage students to continue to learn mathematics. Other ideas include using the smart board to play mathematical games. 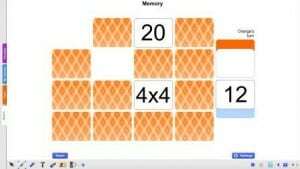 Computerized dice games help younger children to learn how to add and subtract. Moving, rotating or fitting objects together such as jigsaw puzzles or Rubik’s cubes are attractive to older children. Teachers can use specialized software with a smart board for these activities that will help maintain student interest in continuing mathematics studies. Two Indiana Professors cited a 1976 study in the 1996 edition of a journal entitled the National Teaching and Learning Forum. The study noted that the teacher had the complete attention of the students for 10 to 18 minutes after the students settled down. After this period, students were less interested in the material and student attention was sporadic. Teachers should spend less time on vocal instruction and more time including class participation activities using the smart board. The power of the interactive smart board should be utilized to direct student focus toward the study of mathematics.